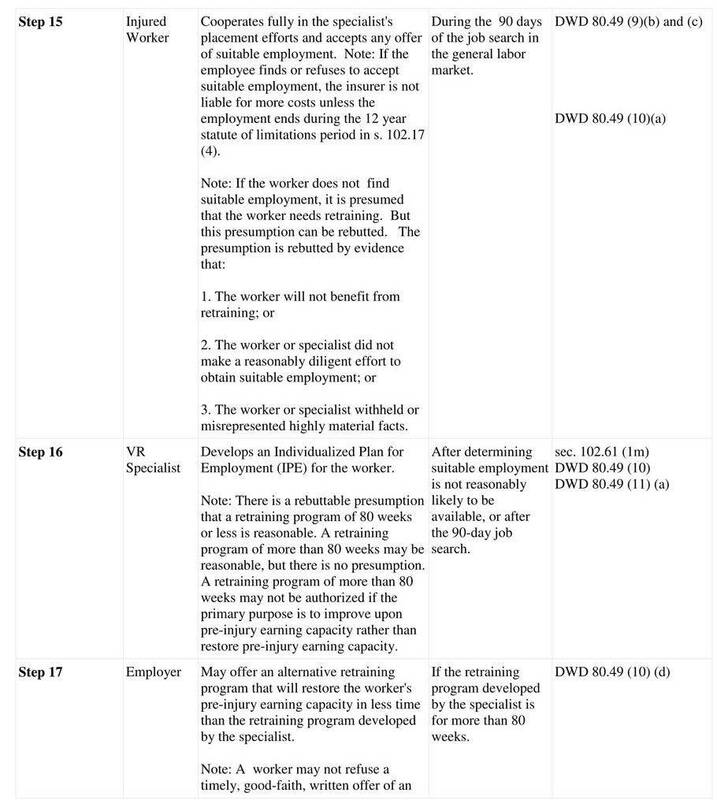 If you suffered a work injury and are left with permanent restrictions, that may mean your company cannot rehire you. If your employer cannot take you back, you are entitled to benefits that will allow you to restore your earning capacity, including a loss of earning capacity claim or a vocational retraining claim (depending on whether your injury was scheduled or unscheduled). What Happens if You Cannot Go Back to Work After your Injury? If your employer is unable to accommodate your permanent restrictions, you may be able to pursue a loss of earning capacity claim (generally for spine injuries). 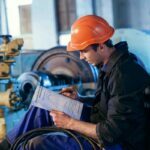 Tabak Law can arrange an appointment with a vocational expert who knows the labor market and will assess your loss of earning capacity. 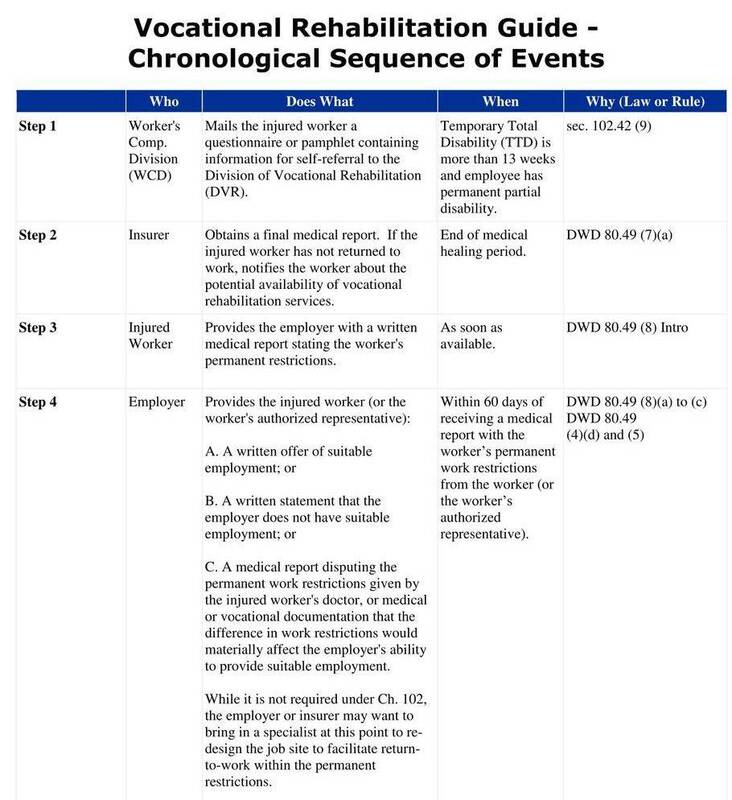 This Loss of earning capacity assessment is then used to increase the value of your claim in an attempt to make you whole after a work injury. A loss of earning capacity claim may still exist despite the workers compensation company paying for all of your medical bills, permanent partial disability and lost wages. Will Workers Compensation Pay For me to go Back to School After Suffering a Work Injury? If you cannot return to work with permanent limitations, you may be able to receive retraining benefits that enable you to go back to school. A Division of Vocational Rehabilitation (DVR) counselor or vocational expert will help you with the retraining process if you are motivated to return to school. 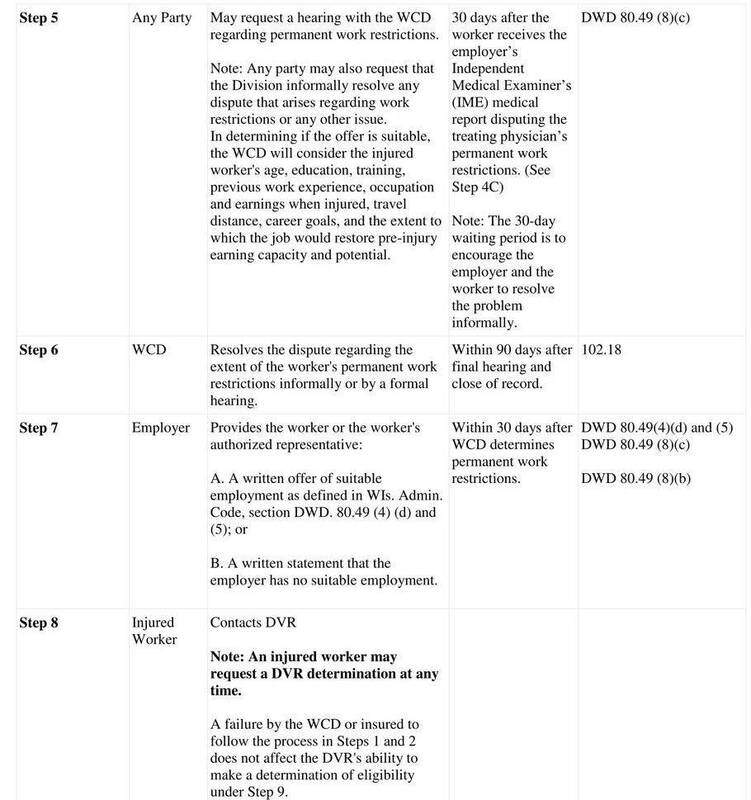 A twenty-one (21) step infographic can be found below, which details every step of the vocational rehabilitation process. Usually, a vocational counselor will assist you in determining what kind of vocational retraining would be good for you, as well as where you can go to school. 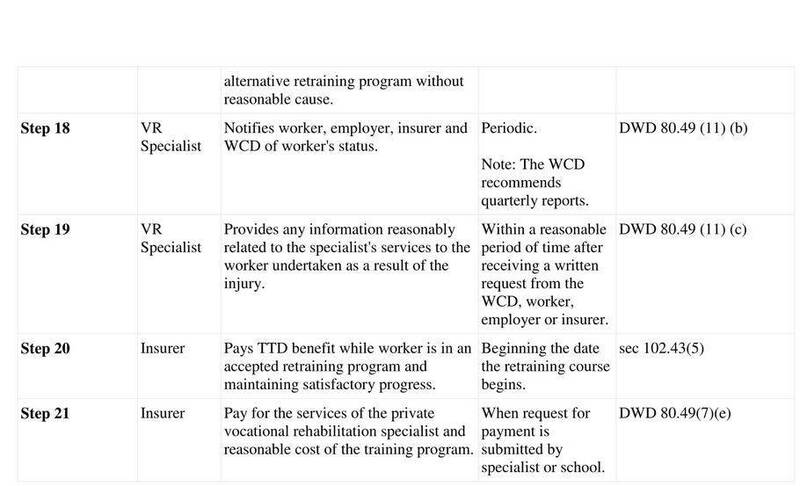 If retraining is an option for you, you still can get paid weekly benefits (at 2/3 of your injury wages) while in school, plus compensation for mileage, meals (while at school), parking, tuition and books. This package of school benefits will allow you to get retrained into a new career to allow you to restore your earning capacity from before the injury. Contact a Wisconsin Workers’ Compensation Attorney Today! 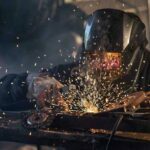 If you have been injured at work you need the legal representation that the experienced and skilled workers compensation attorneys at Tabak Law, LLC will provide. Your employer and their insurance company have their best interest in mind and will do their best to settle your claim for as little as possible; DO NOT allow this to happen, speak with one of our experienced attorneys today!